Want more sales with no added fraud liability? Of course you do…who doesn’t?! Reducing customer friction is a consistent, proven method of achieving higher sales. After all, the fewer barriers between your customer and your product, the more likely they are to end-up together. That’s exactly why Visa Account Updater—or VAU—could be your new best friend. Why Keep Card Data On-File? More and more eCommerce merchants are offering to keep customers' payment card data on-file to facilitate future orders. 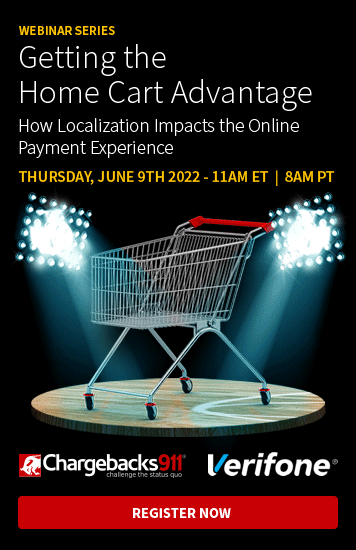 This encourages ongoing purchases with little-to-no effort on either end of the transaction, as well as enabling recurring transactions for regular, passive income. Outdated account information may lead to declined transactions, cardholder inconvenience…or worse. At the same time, keeping payment information current through any kind of manual processing can be costly, time-consuming, and prone to error. Visa Account Updater ensures that merchants always have access to customers’ current bank information. Using it can save merchants time and hassle while helping maintain customer loyalty. VAU might even play a role in chargeback prevention under certain circumstances. Visa developed VAU as a type of secure and automated data clearinghouse. The system ensures updated cardholder account information gets to merchants in a timely, cost-effective manner. This decreases the kind of customer frustration that can lead to canceled accounts or chargebacks. 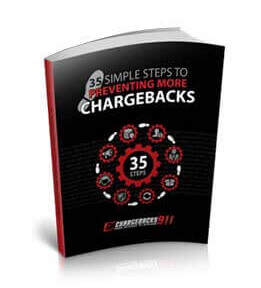 Tired of Trying to Manage Your Own Chargebacks? Let us help. 1. Under VAU rules, issuing banks are required to send an electronic update to Visa when a cardholder’s account information is altered.Visa processes the updated cardholder information and distributes it via the ACH network. 2. A few days prior to billing, the merchant's acquiring bank receives account numbers for all card-on-file or ongoing payment customers. 3. The acquirer submits the data to VAU, which compares the information against its database and responds with updates. 4. VAU forwards the latest data to the requesting merchants, who are then required to update their customer billing files within five days. Simplifies and secures recurring subscription transactions. Offers a seamless and convenient account update process. Avoids interruption of services provided by merchants. Boosts sales and customer retention for subscription services. Avoids negative customer experiences from declined authorizations. Reduces opportunities for passive termination of service. Visa also offers Real-Time Visa Account Updater, which can be used alongside VAU. Real-Time VAU removes the pre-authorization step (required by the current VAU), effectively eliminating the time gap between merchants requesting account updates and submitting authorization requests. Both systems feature unique capabilities, and Visa recommends they be used in tandem. Visa Account Updater use generally does not have a direct impact on chargeback volume. There could still be a connection, though, in that VAU can play a significant role in overall customer satisfaction…and unsatisfied customers are much more likely to file chargebacks. For example, Visa Account Updater has the biggest effect on merchants using subscription billing models or process installment payments. Each customer's information was almost certainly correct when it was provided at the time the original transaction was authorized. But, as we have established, that data could change at any time, leaving the merchant with an invalid account number. If the cardholder doesn’t make the effort to inform merchants after a change, then subsequent transactions would most likely be denied. This creates a nasty surprise for the merchant, and potentially the cardholder as well. Depending on the situation, the merchant may be forced to confront cardholders. The subsequent frustration and inconvenience to cardholders may be enough to push them to action, such as canceling their respective accounts and/or filing a chargeback. Avoiding the situation entirely is a much better strategy. Visa Account Updater is a helpful tool, and like the Visa Resolve Online system, its use is mandated for card issuers. Customers, however, can opt out, which could lead to future complications for the consumer and the merchant alike. While merchants are not required to notify cardholders of VAU’s availability, we strongly recommend that they do. Customers who are unaware of the benefits of the program could easily lead to a chargeback situation. 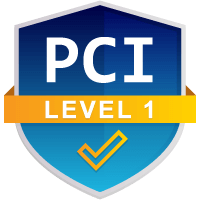 Correctly leveraging Visa Account Updater is just one of multiple components needed to create a truly effective risk mitigation and chargeback prevention strategy. Continue below to get started.